The Sassy Pack Rat: My Plush Dolls were featured. 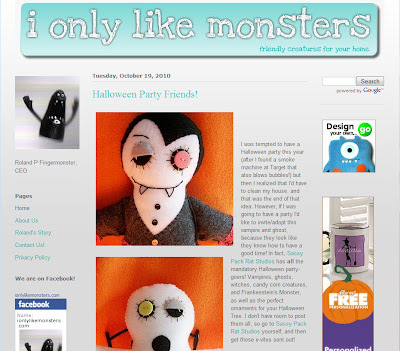 Yesterday some of my Halloween Plush Dolls were featured on this great Monster Blog. If you love monsters come check out this blog and maybe leave a comment about my little feature. Yay and congratulations! You just keep getting more and more famous-er! Congrats! You are getting more and more noticed....awesome!